Travel and History at Online Highways and US History: Harpers Ferry WV. 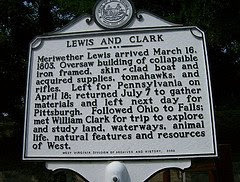 Lewis and Clark? Drug abuse can lower inhibitions and increase the possibility of violence. Stimulants like cocaine and methamphetamine can also trigger delusions, paranoia, and agitation, making the person especially dangerous to be around. Getting the drug may also become so important that activities like caring for a child fall by the wayside, increasing the chance of child neglect. I recommend you to check this out if you want to be a good student. It will help you with writing your persuasive essay for sure. Everything is fine, am happy of your blog. Thanks admin for sharing the unique content, you have done a great job I appreciate your effort and I hope you will get more positive comments from the web users. Thanks!